TIME SHARE SPACE NOW AVAILABLE! MONTHLY RATE OF ONLY $650 INCLUDES EXCLUSIVE USE OF THE UNIT ONE DAY PER WEEK AND INCLUDES UTILITIES!!! USE OF TWO DAYS PER WEEK AT $1,300 PER MONTH, 3 DAYS PER WEEK AT $1,950 PER MONTH.... GREAT OPPORTUNITY TO LOCATE YOUR BUSINESS OR PRACTICE IN SOUGHT AFTER WINDFAIR PROFESSIONAL PARK LOCATED DIRECTLY ACROSS FROM FLORIDA HOSPITAL WESLEY CHAPEL!!! THIS BEAUTIFUL 1,500 SQ FT SUITE FEATURES CERAMIC TILE FLOORING, 3 FURNISHED EXAM ROOMS WITH EXAM TABLES AND CHAIRS, PRIVATE CEO/PRESIDENTS OFFICE FURNISHED WITH DESK AND CHAIRS, FURNISHED RECEPTION AREA AND WAITING ROOM, FURNISHED BREAKROOM, AMPLE WINDOWS FOR NATURAL LIGHT, 2 RESTROOMS (ONE STAFF ONE PUBLIC), WELCOMING RECEPTION AREA WITH BUSINESS MANAGER OFFICE, REAR STAFF ENTRANCE AND ACCESSIBLE ATTIC STORAGE! POWER, WATER, JANITORIAL, AND GARBAGE INCLUDED WITH RENT!!! FURNISHED FOR MEDICAL RELATED USES!!! GREAT WAY TO GET INTO THE WESLEY CHAPEL MARKET FOR AN EXCELLENT AFFORDABLE PRICE!...JUST BRING YOUR LAPTOP!! !...CALL FOR YOUR VIEWING TODAY!!! 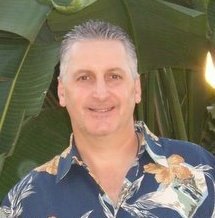 Brian Infantino of BINGHAM REALTY INC.